STRALIS X-WAY IS THE TRUCK WITH THE BIGGEST PAYLOAD CAPACITY IN ITS SEGMENT THAT COMBINES THE BEST FUEL-EFFICENCY AND SAFETY TECHNOLOGIES. The Stralis X-WAY raises the stakes in light off-road missions with the biggest payload in its segment. 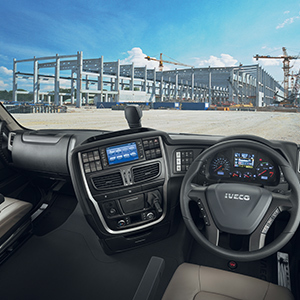 It combines the best of IVECO’s fuel-efficiency and safety technologies with the off-road robustness of its toughest vehicles to deliver high productivity with low Total Cost of Operation. 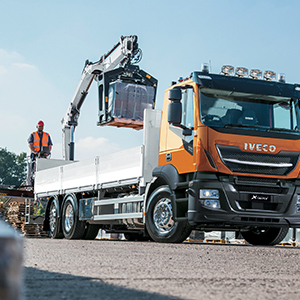 The Stralis X-WAY takes the modular approach to the extreme, starting from a choice of line-ups, which can be tailored to a specific mission with an extensive offering of features, components and specifications. The result is ultimate flexibility. The low kerb weight – as little as 9 tonnes on an 8×4 chassis in the Super Loader concrete mixer version – together with the strength of the Trakker chassis, means that it has the best payload capacity in the market in its category. 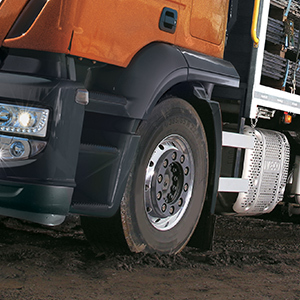 Providing additional hydraulic front-wheel traction when needed, improving the vehicle’s stability and the driver’s safety on difficult terrains. 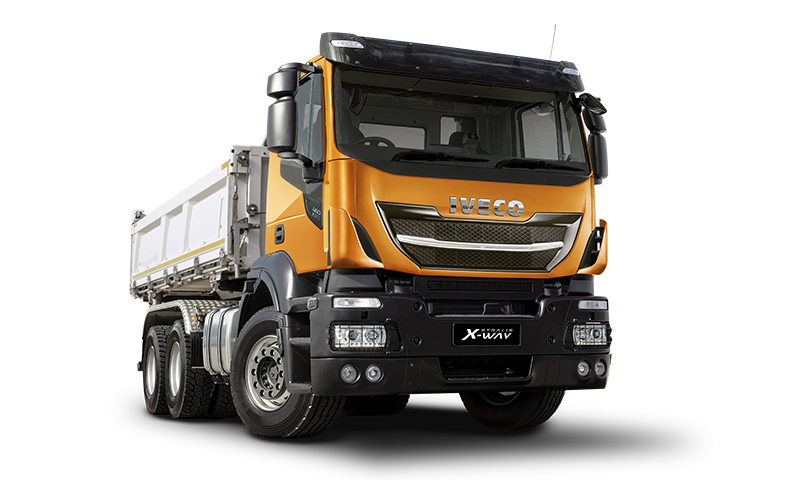 The Stralis X-WAY tackles with ease the off-road sections of its missions. Putting profitability in your light off road missions the Stralis X-WAY delivers the best payload in the market and high fuel efficiency with low maintenance costs resulting in exceptionally low Total Cost of Ownership. 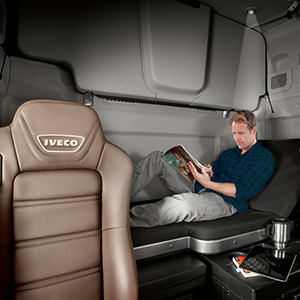 A choice of cabs designed around the driver with sleeper cabs for long haul missions or active day short cabs with low roofs. Drivers will be just as comfortable and safe on the longer on-road sections and on the shorter off-road drives when collecting or delivering a load on a jobsite.